On the left is my mother, and on the right is her sister-in-law "Dien" who married my uncle Harry. 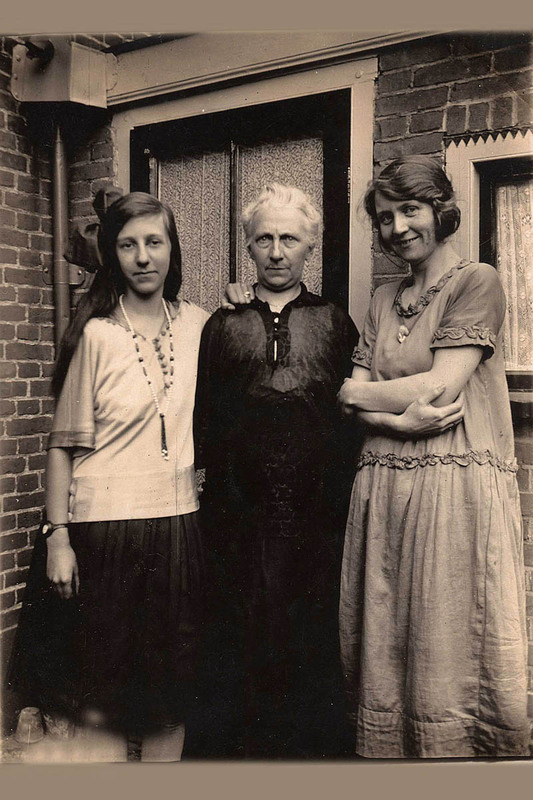 So I must presume (and it looks like) the person in the middle is my grandmother - but she looks awfully old in this picture to be the mother of the person on the left. It's hard to tell, and maybe people aged quicker in those days. My grandmother must have been 38 when my mother was born (1873 to 1910 = 38) and my mother got married when she was 22. So if you assume she was 20 in this picture, then my grandma's age at that time was 58 - so I guess it is possible.